Boots. 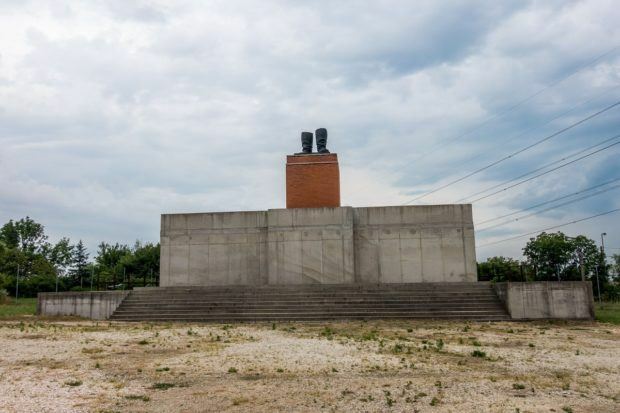 The first thing I saw up on arriving at Memento Park on the outskirts of Budapest was a solitary pair of boots on a massive, solitary platform. It’s clear that something menacing and important once stood on this podium, but now it’s a relic under a nest of power lines just off the highway. It was not immediately apparent why these boots were here or what happened to their occupant. It was a bit of a mystery until our guide explained the story—the boots were Stalin’s. Well, sort of. In the early 1950s, a statue of Stalin towering 26 feet high (on top of a 30-foot-high platform) once stood in Budapest’s Parade Square. 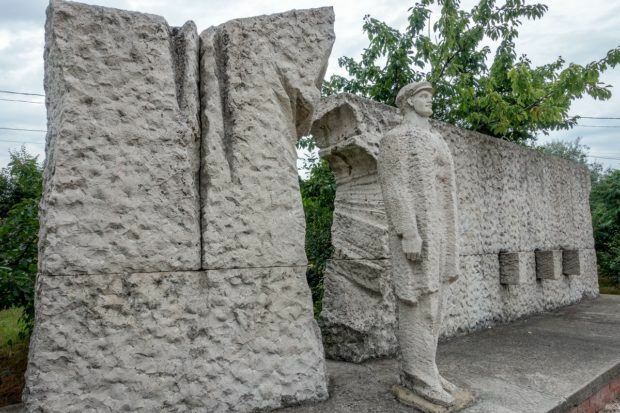 When the Hungarians revolted against the Communist regime in October 1956, they pulled down the hulking monument, leaving only the boots behind. The current boots at Memento Park are a replica of the historic statue’s remains and an homage to a moment of political agitation in Hungary. Turning from the boots to face the park’s entrance, I was met with three of the most recognizable figures in Communism – Friedrich Engels and Karl Marx (authors of The Communist Manifesto) on the right, Lenin (the Communist himself) on the left. Quite a unique welcome party, indeed. But then, Memento Park is a unique place. 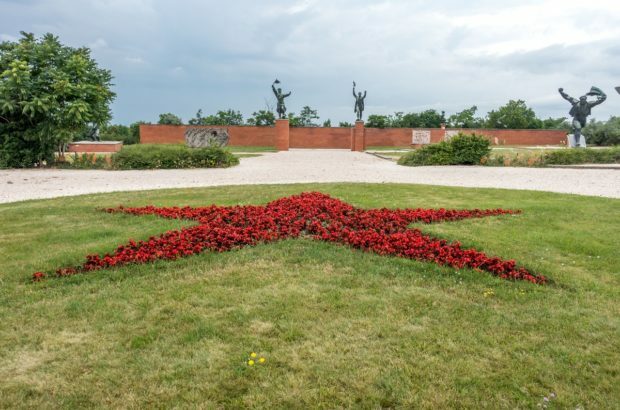 About 20 minutes outside the center of beautiful Budapest, Memento Park is home to more than 40 Communist-era statues that used to be displayed around the city during the four decades it was under Communist control. It would have been easy to destroy them, to melt them down or bury them somewhere, as many wanted to bury the memories of what they stood for. 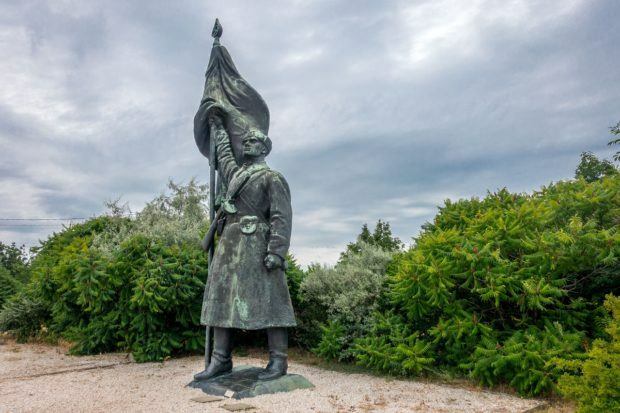 Instead, they were moved to this open air park, which neither vilifies nor honors them but recognizes their importance in the overall history of Hungary. Memento Park, or Statue Park as it is sometimes called, contains works from the Communist era between 1945 and 1989. 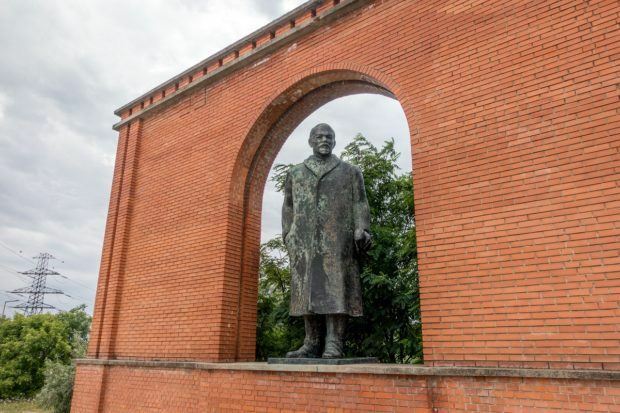 In addition to the internationally recognizable Communist figures, there are statues of Hungarian Communist leaders such as Béla Kun, Endre Ságvári, and Árpád Szakasits. Friendship between the “liberating” Soviets and Hungarians is also a frequent theme. Because much of the history depicted in the statues wasn’t familiar to me, I decided to join a tour group for a walk around the park and a bit more context about what we were seeing. In addition to the facts, our guide told us about the unwritten history of the monuments, too. 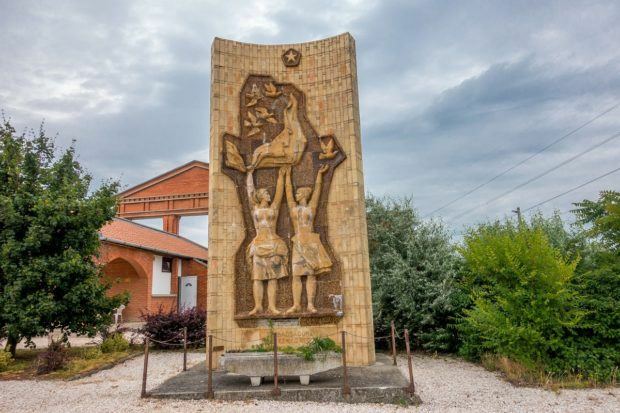 We discussed one of Memento Park’s most famous statues, the Republic of Councils Monument, an enormous sailor based on a 1919 revolutionary poster. Apparently, Hungarians refer to it as the “Cloakroom Attendant,” as the man appears to be running after someone who’s forgotten his scarf. The guide told us about the unfortunate statue who appears to urinate every time is rains, due to some flaws in the construction. The tour also filled us in on the modern Béla Kun Memorial, which dates only from 1986. 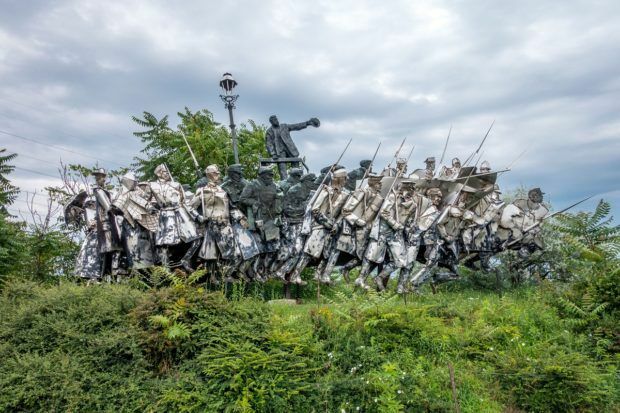 Ostensibly, the large metal piece seems to show the leader trying – possibly unsuccessfully – to lead a group of soldiers and workers. But some theorize it might also be a bit subversive, representing those who were executed by the Communists. 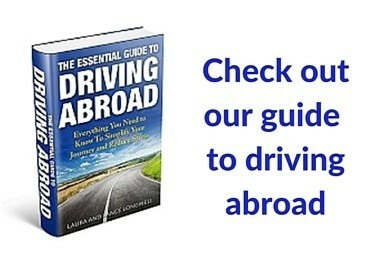 All definitely insights that would be hard to get from a guidebook. 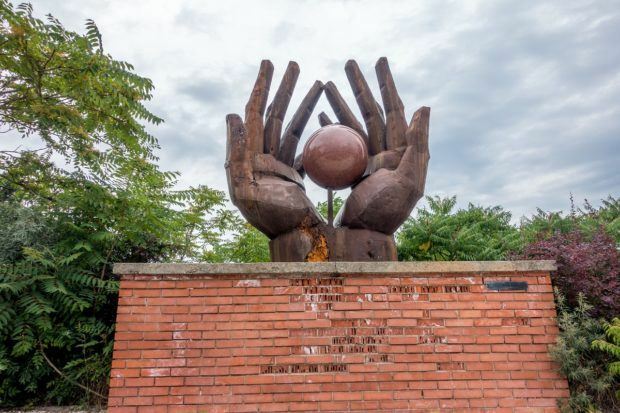 Our small group visited about half of the statues and monuments in Memento Park, talking about life under Communist rule and how people coped in such an oppressive environment. Hearing the stories first-hand from someone who lived under the regime lent a very human side to the works of stone and metal surrounding us. After finishing the tour and spending a bit more time inspecting the statues, we had a moment to view an exhibit about the history of Communism in Hungary. 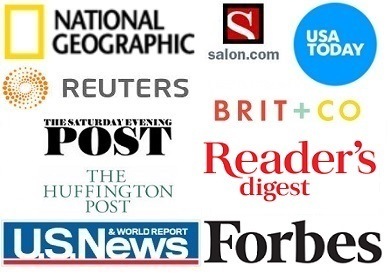 It featured the unvarnished facts about this tough time in the country’s history alongside a training film that demonstrated techniques used to spy on citizens and illustrated the pressure that was put on people to turn in those suspected of activities against the Party. 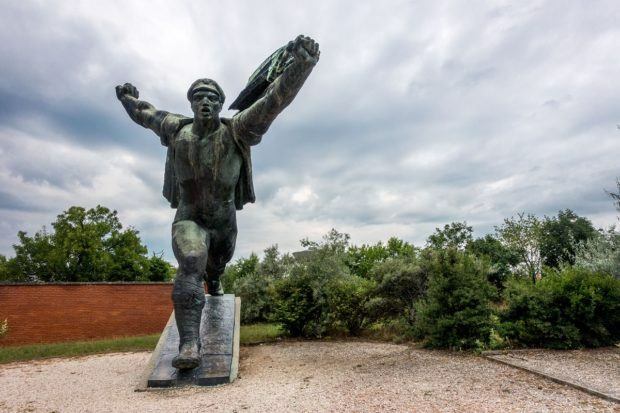 Being outside the city, Memento Park is a bit off the typical tourist path. I went there not knowing what to expect other than a courtyard filled with statues. It turned out to be much more than that, though. I left with a clearer understanding of the dynamics of Communism in Hungary and the strength of the will of the people to push for democracy.